I never knew this little gem existed till last month and I knew I needed to add it to my queue of movies. 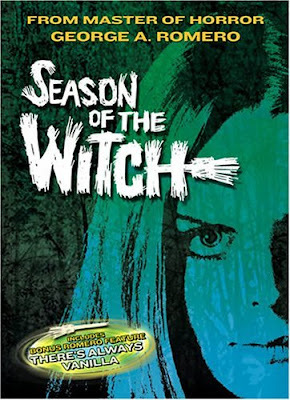 It features direction by Zombie Master George Romero and the title song sung by Donovan (ok his song Season of the Witch was used in it) and a bunch of pretty much unknowns. The movie is slow and typical Occult 70s fare, but still fun. Joan is unsatisfied in her life and marriage and turns to Witchcraft to spice things up. It's not horror so much as it is occult thriller-ish. Still though not a bad flick and certainly has a great 70s vibe about it.